By 2060 Utah will need an estimated $33 billion for water infrastructure, including repair and replacement as well as new water development projects. 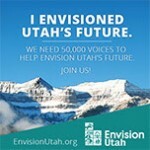 Utah’s Water Future has launched a new website: www.UtahsWaterFuture.org. 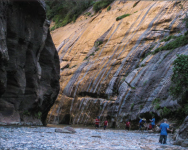 The site addresses Utah’s water planning in the contexts of History, Future, Conservation, and Funding. Check it out here. What will Utah look like in 10, 20 or 50 years from now? This summer, Governor Herbert is asking the public to help decide.